We already had a dress rehearsal in the morning. We had done nothing in our usual order for a typical Kindergarten day. We sent the children out for morning recess and lunch with the instructions to “stay clean” as they were in their costume clothes for the whole day. Yet despite the changes, by the concert start time at 1:30 pm everyone was still feeling quite cheerful…we might even go so far as to say content. The children were listening well, they kept their focus during their performance and sang sweetly. They walked calmly on and off the stage. We were extremely proud of our little performers. There are many times in a teacher’s day when the saying “you reap what you sow” rears its head. For example, we know if we do not take the time to carefully explain, practise and reinforce classroom routines all through the Fall, our students will have difficulty in developing the independence we desire to self-regulate within our classroom structure. But it quickly became apparent, as those glittering, red-tinselled antlers sparkled back at us, that we are growing a very fine group of patient, well-regulated children. The big Fall calendar events that happen in Kindergarten, the Hallowe’en Assembly, the Remembrance Day Assembly and the Christmas Concert, are each in their own way our personal measure of how well our classroom environments and teaching are conducive to the children’s ability to self-regulate. What have we done so far this year to teach and promote self-regulation in our classrooms? Each one of these factors bears talking about in more detail which we’ll do over the next few months, as well as some of the programs we’re using in class to support our teaching. 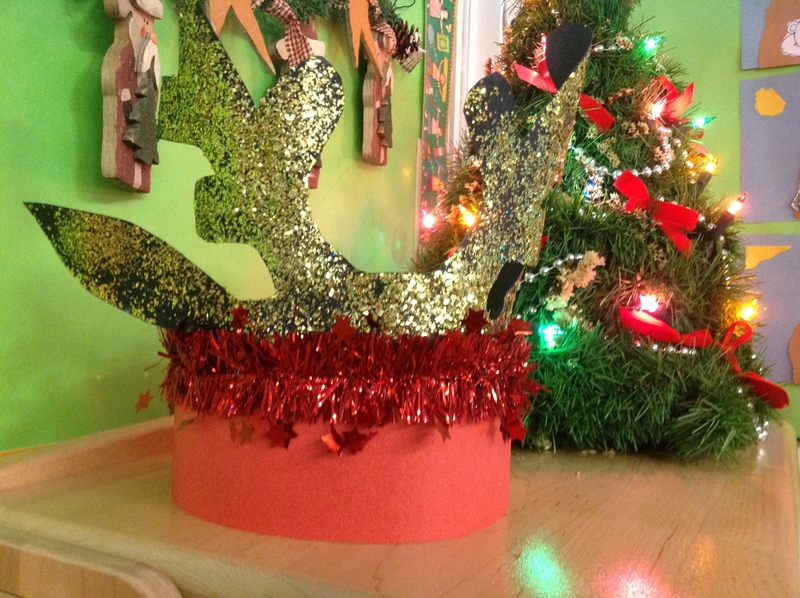 This entry was posted in Holiday Fun, Self-Regulation by thekinderteam. Bookmark the permalink.